While Natural News has sounded the alarm over the potential spread of Ebola in the U.S. beyond its current boundaries in Dallas, Texas, so far that hasn’t happened. Americans are being reassured by federal and state public health officials that the deadly virus will be contained in Texas, and that there is little reason to be concerned it won’t be. We’ll see how that turns out. But in the meantime, the authoritarians in governments all across the country have begun to use fear about the spread of the virus as a mechanism for encroaching on our freedom; what recently occurred in the East Coast state of Connecticut, one of our 13 original colonies, is a case in point. Gov. Dannel P. Malloy just signed a gubernatorial executive order granting the state’s public health commission the power to quarantine anyone who she thinks could have been exposed to the Ebola virus. The governor, in making his announcement, said the order was merely cautionary in nature and was aimed at ensuring that the state has a plan to deal with any suspected cases of the virus. The AP went on to report that Mullen does not believe anyone in her state is either infected or even at risk of infection — which makes the issuance of the order by Malloy even more puzzling. Is the state merely trying to get ahead of the virus, or is this going to be a trend among governors and health officials in more states — to usurp constitutional protections using the virus as a tool? 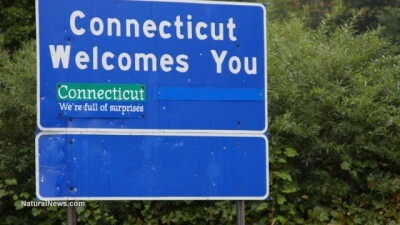 News of Connecticut’s order comes on the heels of the death of Thomas Duncan, the United States’ first Ebola patient, at a hospital in Dallas; there, health officials have quarantined his family and say they are keeping an eye on dozens more who may eventually have to be quarantined as well if they begin showing signs of infection. Understand that we support state and federal officials whose aim is to prevent the Ebola virus from spreading to the remainder of the population. There is some concern, however, that officials may try to use fear about the virus to their advantage. Emanuel is currently the mayor of one of America’s largest cities — Chicago — and though he later tried to walk back those comments, he and Obama certainly did use the financial crisis they inherited to force through several pieces of legislation including the disastrous Obamacare and a $1 trillion stimulus package that inflated the national debt while doing little to spur the economy. What’s that got to do with Ebola? Nothing — and everything. Emanuel’s now-legendary quote shows you the mindset of those who seek to rule over us: ruling rather than representing. Through Rex-84 an undisclosed number of concentration camps were set in operation throughout the United States, for internment of dissidents and others potentially harmful to the state. Existence of the Rex 84 plan was first revealed during the Iran-Contra Hearings in 1987…. The old axiom that “power corrupts” applies to American politics just the same as it does to any other political system devised and implemented by Man.